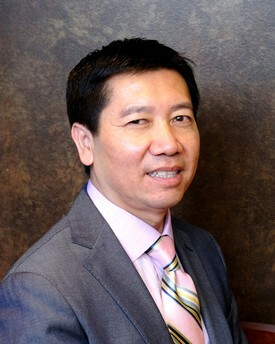 Dr. Patrick Kha Le is best known for his exceptional work in cosmetic dentistry that includes implant surgery, restorations and orthodontics. He has an impeccable eye for aesthetics and is passionate about creating a beautiful and perfect smile. Dr. Le received his Bachelors of Science degree in chemistry from the University of California at Los Angeles and his Doctor of Dental Medicine degree from the prestigious Ivy League University of Pennsylvania. After graduation he attended the United States Dental Institute for his post graduate training in orthodontics. Dr. Le is a member of the American Dental Association, California Dental Association, Orange County Dental Society and the International Association of Orthodontists. In his spare time Dr. Le is involved with the Lions Club, a rotary national club in which he is a proud active member. He has helped to raise funds for different causes including serving the homeless of Orange County, the elderly at convalescent hospitals and various overseas missions to repair cleft palate defects for underprivileged children in rural Vietnam. When he is not working, Dr. Le spends his time with his wife and three children. An avid tennis player, he also enjoys traveling around the world with his family and friends.